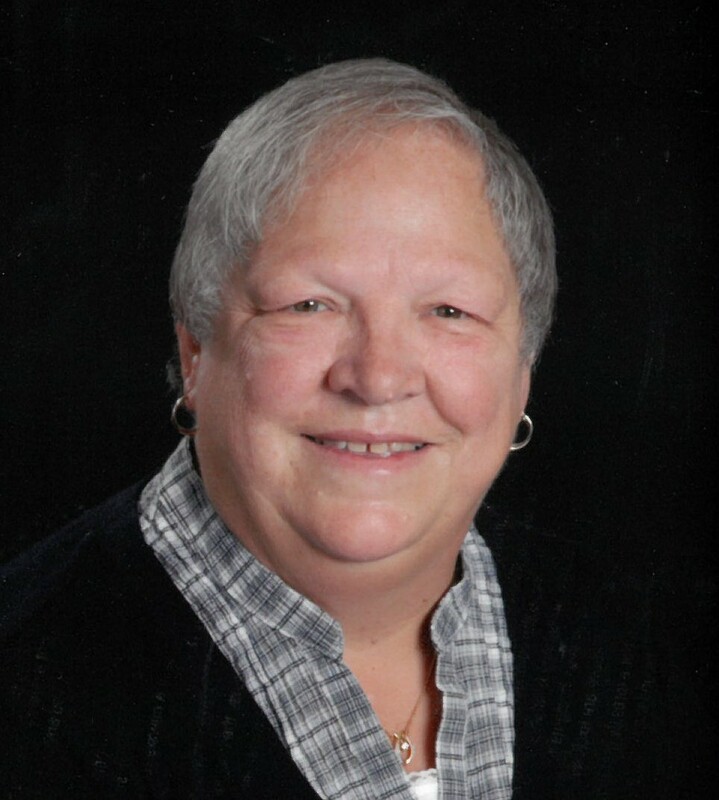 Mary Louise Gendron, age 69, of Gladstone passed away peacefully at home on Friday, February 9, 2019 surrounded by her loving family. Mary was born December 9, 1949 in Escanaba, the daughter of Austin and Mildred (Provo) Godin. She graduated from Holy Name Catholic High School in 1968. She continued her education at Bay de Noc Community College, receiving an Associate Degree in Nursing. She worked for many years as the secretary at Cameron Elementary School in Gladstone. Mary was united in marriage to John F. Gendron on July 22, 1972. Mary is survived by her husband, John; their children, Christopher (Amy) Gendron, Cindi (Scott) Shepeck, Gregory (BreAnne) Gendron and Vicki (Donny) Caron; grandchildren, Madison Gendron, Amanda (David) Fryman, Dan (Andrea) Shepeck, Bailey Shepeck, Leo Gendron, and Matthew, Michael and Marcus Caron; great grandchildren Elsie, Henry and Charlie Shepeck and Blaine Fryman; her brothers, Chuck (Tina) Godin of Antioch, IL and Gerry (Susan) Godin of Flatrock, MI; her sisters, Carol Wheeler of Wells, MI, Patricia Jane (Paul) Besson, Vivian (Bill) Gouin and Sue (Bill) Cook, all of Escanaba, Kathy Davenport of Yukon, OK and numerous nieces and nephews. She was preceded in death by her parents; foster parents Ed and Doris Peck; and sister Margaret Godin. The family will receive friends on Saturday, February 16 from 11:00 AM to 2:00 PM at the Skradski Funeral Home in Gladstone. Mass of Christian Burial will be at 2:30 PM at All Saints Catholic Church with Fr. Jamie Ziminski officiating. A luncheon will follow in the Parish hall. Mary will be laid to rest in the spring at Fernwood Cemetery in Gladstone. Memorial contributions may be directed to the Delta County Cancer Alliance. To my friends, the Gendron Family. hosts. Mary and John happily welcomed us into their home, making us feel like family. I remember a particular year when Mary had put together a thanksgiving style feast and brought it to camp. A welcomed change from the hotdogs and gruel we were used to eating (mind you, we aren’t picky). Mary seemed to be as excited to see us, as we were to be at camp. She was such an intricate part of the entire Gendron family and will be missed by all who’s lives she touched. May God bless Mary with his kingdom. My condolences to the Gendron family. So sorry to hear of your loss. Prayers for all! Our sincerest condolences to the Gendron family. Keeping you in our thoughts and prayers. Sending prayerful hugs and loving, healing energies to comfort you in this time of grief! So sorry for your loss of your sister. May all the wonderful memories bring you all peace. John and family you have our sincere condolences. May the memories carry you through. You are in our prayers. So sorry to learn of Mary’s passing. You are all in our thoughts and prayers. My deepest sympathies going out to the entire family. Mary had a special kind of love she gave to her family, especially her grand and great grandchildren. She was always there with kind and thoughtful words. She had a rare quality and was filled with love each day for her family. We know her journey was a long one and now has no pain or suffering to endure. My prayers go out to the Gendrons-Mary’s family, John, children, grands and great grands, extended family. I am holding you all up in prayers for comfort and peace during this most difficult time. May God’s peace and love give you comfort each day going forward in memory of your loved one. We are so sorry for your loss. Mary was a special lady. Sending prayers and hugs to all. So sorry to read this. Mary was ready with a smile or kind word for my girls in the Cameron front office when my girls arrived each morning. l am so sorry for you your loss. We may have lost contact over the years from the military, work and retirement. I know you will find comfort in your family. They will be your life line in the years ahead. May God bless you and your family and may God grant Mary everlasting happiness. Mary was a kind,compassionate person. Her family was her life. My prayers and sympathy to John and their family. To the family of Mary Godin Gendron – We would like to extend our deepest sympathy for the loss of your wife, mother, grandmother and sister. Mary was a very special person to our class of 1968. She put in many years and hours of work to make sure that we had the best celebrations at our reunions. We are thankful that we had her, not only as a classmate, but also as a friend. She will be greatly missed. Dear John and family. I was so sad to hear about Mary’s death. When we moved to this area Mary was one of the first people to come over and welcome us to the area and the neighborhood. She was so friendly to everyone and had such a wonderful sense of humor. I remember one time when your children were bugging her to go to the library. It was a Saturday and the library was closed. But after continual bugging, Mary told the kids they could go to the library and if it was closed they could sit there and wait for it to open. Loved her wit! I do regret that I didn’t get to visit with her but she touched my heart and will always hold a special place in it. Our thoughts and prayers are with you all at this time. I had the privilege of knowing Mary and her daughter, Vicky, for a brief period of time when I served as the principal of Jones Elementary School. Mary was devoted to her family, actively involved in the schools, and was such a positive, caring person. I have such fond memories of my interactions with Mary and Vicky. I am so sad to learn of her passing. I pray God will comfort each of you and that you will find peace in knowing she is in His presence. Hugs to all of you! My condolences to John and family. Mary was a special person.